Hailing from Boston, Charles first came to Hawaii to attend the University of Hawaii, after getting an associate’s degree in Business in Boston. 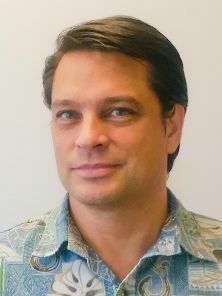 After graduating from the University of Hawaii with a degree in Asian studies, Charles moved to Japan to teach English at various businesses, groups and several junior high and elementary schools, while using the time to improve his Japanese language skills. He has visited 17 prefectures in Japan. Charles enjoys all water sports, kayaking, swimming, SCUBA, but he doesn’t surf. He also enjoys ethnic foods, such as Thai, Vietnamese, Chinese and Japanese among others. He is a great travel enthusiast, having visited Bali, Thailand, Singapore, Korea, Hong Kong as well as a few others countries and plans to travel to more.